This hotel is in the heart of London's fashionable Kensington and Chelsea district, with quick access to the underground network, putting the whole city, with all its shops, entertainment and cultural attractions, within easy reach of the hotel. Many..
Superbly located hotel, only 5 mins walk from Earls Court and Gloucester Road Tube Stations with NCP car parking 13 mins walk away. Quick, easy access to all areas of London and for leisure visitors looking to explore London?s fabulous attractions, such.. 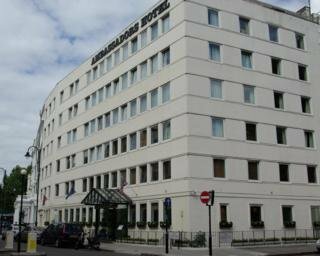 Located in the heart of London¿s historic Kensington, the Ambassadors Hotel London provides a comfortable, elegant and convenient stay with fantastic access to the capital¿s best hotspots and sights. This independent hotel offers a range of.. 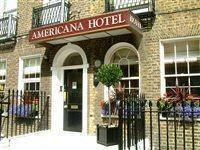 Ambassadors London is a large 3-star hotel offering modern accommodation near the heart of London. It boasts an excellent location close to the South Kensington museums. Kensington is one of London's most affluent and culturally diverse areas, notable..
## Overview Ambassadors London is a large 3-star hotel offering modern accommodation near the heart of London. It boasts an excellent location close to the South Kensington museums. ## Location Kensington is one of London's most affluent and culturally.. The hotel is centrally located in the Baker Street area, just few minutes from the station and its excellent connections to all London, shopping districts, and tourist attractions. Close to Madame Tussauds exhibition and Planetarium. For guests arriving.. Located close to Regent s Park, 3 km from the British Museum, 3.5 km from Buckingham Palace and 4.5 km from Westminster Abbey. Facilities and services include a 24 hrs reception, wireless internet throughout the hotel, elevator, breakfast area and a computer..
ApartmentsApart is a well established supplier of furnished apartments which operates worldwide in order to provide its customers with high standard accommodation and a unique holiday experience. The apartments come in various sizes; comfortable and fully..
54 comfortable rooms, including single, double, twin, triple and family rooms. They all have satellite TV, complimentary tea/coffee making facilities and high-speed Internet access. It also features a restaurant and a business centre. The Ascot Hyde Park hotel has 54 bedrooms and is situated in Paddington, only 150 metres from Paddington Railway Station. The hotel has a restaurant and 24 hour front desk and Hyde Park is just 500 metres away where there is 350 acres of open parkland..